George T.-J. 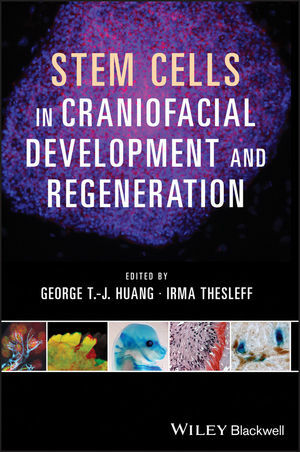 Huang, DDS, MSD, DSc, is the Director for Stem Cells and Regenerative Therapies in the College of Dentistry at the University of Tennessee Health Science Center. Irma Thesleff, DDS, PhD, is the Research Director of the Developmental Biology Program at the Institute of Biotechnology at the University of Helsinki.